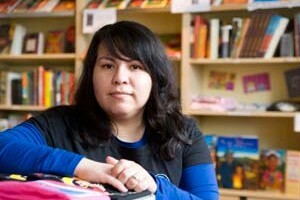 Remember the days when you could stroll into Tianguis Bookstore in Pilsen and order a warm tea or bubble tea? It was the place to gather. 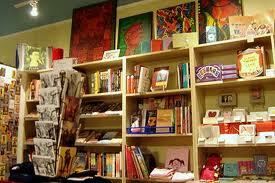 I found myself there quite often and miss this cozy refuge filled with books, coffee and fabulous company. 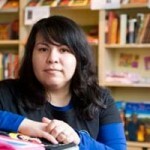 Well thanks to Irasema we are going to get a Tianguis Bookstore FLASHBACK! Proyecto Latina is proud to be a part of La Neta Art Sale at the Tenant Gallery. Tianguis Book Store is generously donating merchandise that was packed up and placed into storage when it closed its storefront doors at the end of 2008, these items are finally being pulled out for a worthwhile cause–they include books (new, used and indie titles), t-shirts, and other gift items that make ideal stocking stuffers this holiday season. 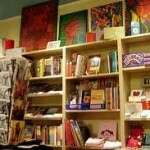 All proceeds from sales will support Proyecto Latina’s Reading Series in 2011. We want to be able to pay our reading series features and also our blogging contributors for their creativity. If you love the work Proyecto Latina does at our reading series or online please come out and support. Perfect time to pick up some affordable gifts for the holidays! Time: 12 p.m. to 8 p.m.
Irasema had great items at Tianguis and I am so happy to hear the news!